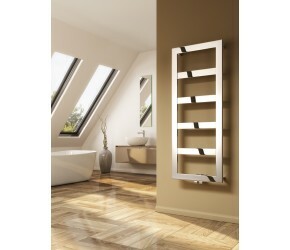 The Reina Rima towel rail range offers ideal towel rails for the bathroom. With the even spacing of stunning 304 grade polished stainless steel tubes, there is plenty of room to dry multiple towels at once. With the towel being made out of 304 grade stainless steel, you will be getting a towel rail which is rust resistant and will withstand the test of time. The Reina Rima rails come with a 25 year guarantee for peace of mind.